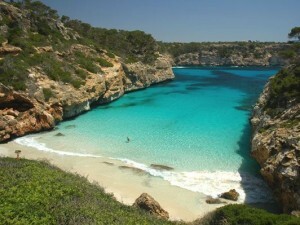 Mallorca guide: Mallorca is the largest of the islands in the Balearic archipelago. It has a surface area of 3.650 square kilometres and is inhabited by some 800.000 people, a number which is vastly increased during the summer months thanks to the arrival of large numbers of tourists. Enjoy the video with the best images at the end of this page! 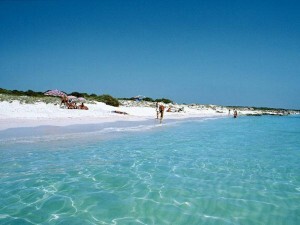 The island enjoys a privileged climate and the best time to visit is between April and October. Located in the centre of the Bay of Palma is the main city of Palma de Mallorca. Palma de Mallorca is the largest city on Mallorca and the capital of the Balearic Islands. It is located on the west of Mallorca where the main Port is also found, a port which serves as the point of entry for thousands of cruise passengers. This beautiful city is one of the main tourist centres in the archipelago. But, as well as being famous for its beaches and nightlife, Palma de Mallorca is also extremely interesting from an historical and architectural point of view. With the exception of the “Castillo de Bellver”, the most important monuments in Palma de Mallorca are concentrated in the historic “old town”, dominated by the gothic style “la Seu” Cathedral.In front of the Cathedral is the Palacio de la Almudaina. From the artistic and architectural point of view, walking through Palma, one can admire: The gothic Cathedral “la Seu” built on the remains of a mosque. Inside we can see the restauration made by Gaudí including a beautiful rose window, the north facade, in which fantastical animals called Gargoyles are represented. In front of the Cathedral is the Palacio de la Almudaina, occupying a site dating back to the Roman era. Nearby is the “huerto del Rey”, a pretty garden decorated with sculptures. The Arab Baths (Baños Árabes), the ancient remains of the Arab presence in Palma and “la Lonja”, a gothic building. We recommend a visit to the “Castillo de Bellver”, the only circular castle in Spain, inside which is a museum devoted to Palma’s history. The Castle is sited on the top of a hill from which one has a beautiful panoramic view of the city of Palma. The heart of the island of Mallorca is Palma, but there are other interesting regions from a touristic point of view: The south-west coast (Palma Nova, Magaluf, Santa Ponsa, Sant Elm, etc. ), the east coast (with the bays of Cala Santanyi, Cala d’Or, Porto Colom, Cala Millor y Capdepera), the north coast with the bays of Alcudia y Pollensa, the peninsula of Formentor, the mountains of the Tramuntana, the plain of Mallorca, etc. Post Offices are open from 09.00 to14.00 on weekdays and closed on Sundays. Stamps can also be purchased in most places selling postcards. 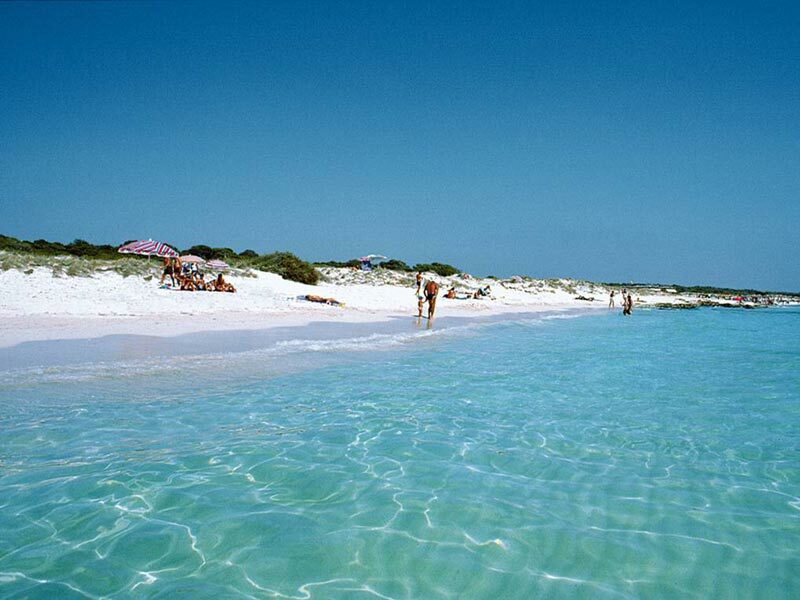 -Information on beaches near the port and the best beaches.